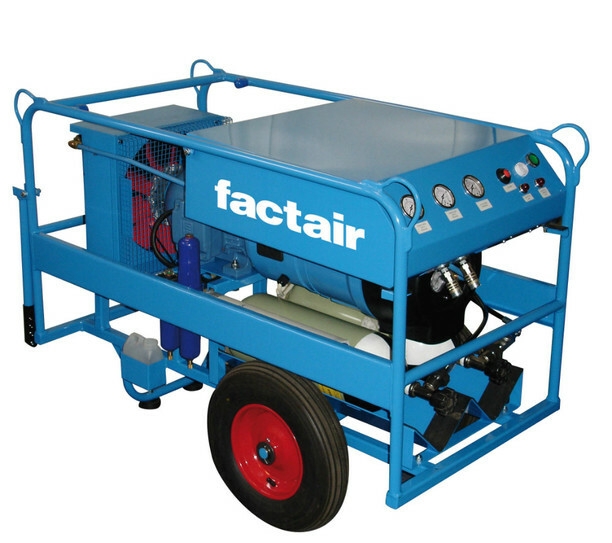 Factair's breathing-air compressors continue to set the standard in mobile long duration life support systems. 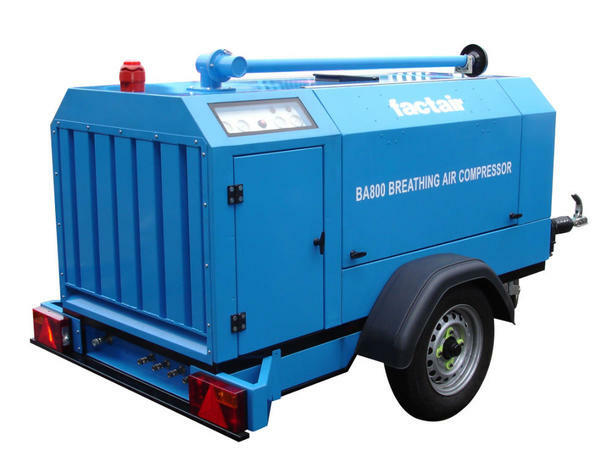 A range of models, in site portable, road towable and trailer mounted formats are available from 200 l/min (7cfm) to 4000 l/min (141cfm). These can be supplied in electric, petrol or diesel driven versions. The electrically driven units can be supplied in ATEX versions and the diesel driven compressors are fitted with Chalwyn valve and spark arrestors as standard. Every unit produces breathing-air to the requirements of BS EN 12021:2014 and on all engine driven units a fail-safe system is fitted as standard, which, in the event of a failure, sounds an alarm and automatically switches to an onboard cylinder reserve system, allowing time for operatives to move to a place of safety.